The place to be seen for International Rights and Distribution deals. Rancho Park Publishing is an official reseller of Combined Book Exhibit (CBE). Combined Book Exhibit is one of the most widely recognized and highly respected names in the publishing community. editors, publishers, librarians, book distributors, and foreign rights and other publishing industry professionals. The Salon du Livre - Paris Book Fair is a leading book fair that boasts the presence of a wide variety of books of different genres such as digital books, romantic stories and novels, knowledge books, art books, science books and books from various other disciplines. It is quite an interactive platform that welcomes visitors around the world and allows them to delve into the world of books. The book fair has gained international recognition and showcases the culture and heritage of the region. Note* This is not a Combined Book Exhibit program, but we have made arrangements with the U.S. Embassy staff for display opportunities in their booth at the show. For over fifty years, the Children's Book Fair is the most important international event for all those involved in publishing for children and teens. Moment not to be missed for the exchange of copyright, the event is also an opportunity to learn about the latest industry trends, meet the masters of illustration, the authors of success and the winners of the most prestigious international awards. The London Book Fair is one of those world events that seems to garner more and more accolades as the years pass—and with that, it also adds more attendees and features. The 2015 fair added some new features, many of which added traffic throughout the hall. 2015 also saw a move for the New Title Showcase to a busier area, and 2015 will bring even more changes to the popular exhibit, hopefully maxing out the traffic. The New Title Showcase is most definitely a loved feature for the audience at The London Book Fair—and audience that includes book buyers, agents, publishers, editors, librarians, distributors and so many more—making the New Title Showcase (organized by Combined Book Exhibit) an ideal location for optimum exposure! BookExpo America (BEA) is the #1 book and author event that offers the book industry access to new titles, authors, and education about the publishing industry. BEA is the best place to discover new titles and upcoming books and meet face-to-face with favorite and up-and-coming authors. It is a dynamic environment for networking, sourcing, and relationship building in the publishing industry in North America. BEA offers four event-packed days, 750+ authors, hundreds of new titles, 1,000+ exhibitors, and four Author Stages, along with the Digital Discovery Zone (D2Z) brought to you by IDPF. Perhaps no venue on Earth reaches the depth and breadth of the publishing industry the way the Frankfurt Book Fair does. It might be because of the near 300 thousand in attendance, the eight full halls of exhibits covering 100 different countries, or maybe it's just the reputation Frankfurt has as the industry's 100% absolute must-participate event for over 60 years. One thing is certain however, and that's that regardless of the cause, there's no question that the Frankfurt Book Fair is the most important event on the publishing industry's calendar each year. Reach publishers, agents, distributors, printers, booksellers, librarians, book buyers, authors, journalists, rights executives, editors and so much more from a pool larger than any other all in one location. After successful debuts in 2013 and 2014, which saw the entirety of the Combined Book Exhibit fill up in record time, Combined Book Exhibit is returning to the Guadalajara International Book Fair even bigger and better in 2015! 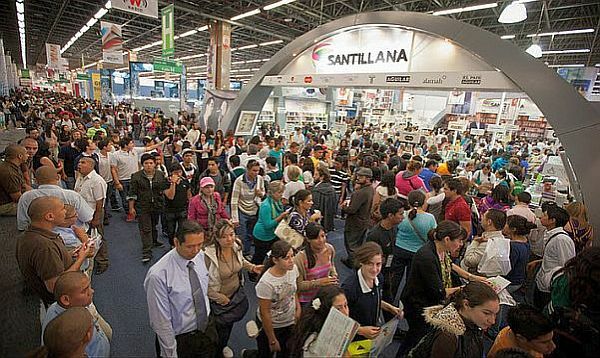 GIBF represents the best chance to break into the Latin American Market as over 20 thousand members of the trade descend on the city to find books for nearly 2 thousand publishing houses from 43 countries (nearly 700 thousand attend the fair, including the public). Attendees to the fair include publishers, agents, distributors, booksellers, librarians and the public, but as a rights fair, the trade visitors focus on finding books to publish in the Latin American market. The Combined Book Exhibit will be located within the USA Pavilion (organized by the American Collective Stand), helping drive traffic to your books. To reserve your space in any or all of these shows, click here to go to our sign-up page. Click on the shows of interest and the number of titles for each and submit the form. We'll get back to you with any questions and provide an online invoice. Once paid, we'll send you a link to the Rancho Park Publishing/CBE registration page which has all the necessary instructions for submitting information about your book(s). In addition to displaying your book(s), each title will have a listing in the online and print catalog which is made available to all visitors at the exhibit. We will also be placing a full page color ad in the print catalog listing all of our titles displayed in our publishing group at no additional charge to you. You will also have the option of having your own full page ad created and placed in the catalog for only $200. After each show concludes, we will receive any inquiries made about your titles and pass these along to you for follow up. If desired, we will be happy to negotiate for rights and distribution on your behalf. Book Signings: The folks at CBE have a very helpful page on using book signings to promote your titles. It's here and well worth your time. Remember to come back to us to sign up for any of their options at our Rancho Park discount. For our clients registered for the CBE through Rancho Park, we will provide a listing on our Rights page, list your titles on our PubMatch page and credit 50% of your CBE fees to your next book translation project. For more information and questions email us here, or call us at (919) 942-9493.